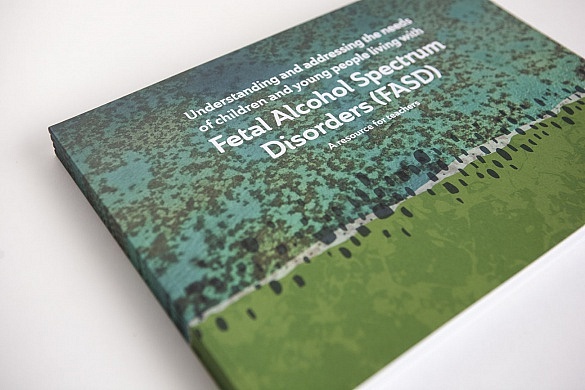 Understanding and addressing the needs of children and young people living with Fetal Alcohol Spectrum Disorders (FASD). 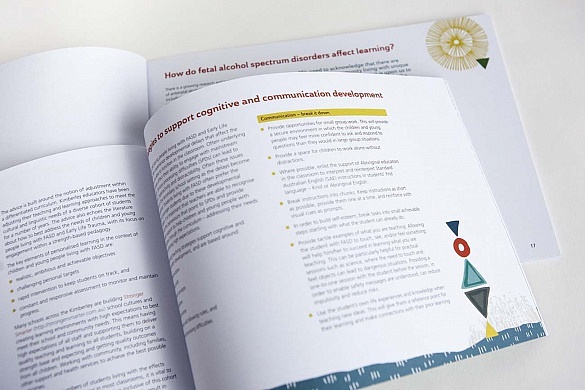 This practical education kit is designed to support school leaders, teachers, aboriginal educators and the broader school community to recognise, understand and work effectively with students living with FASD in our schools. 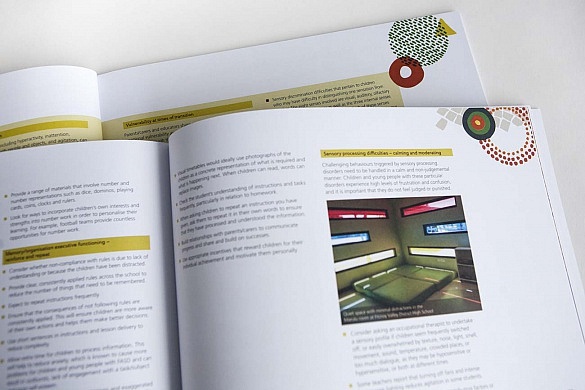 Kimberley Success Zone (KSZ) asked Media on Mars to design the resource kit, including a 40-page guide for teachers, a brochure and a presentation folder with DVD. 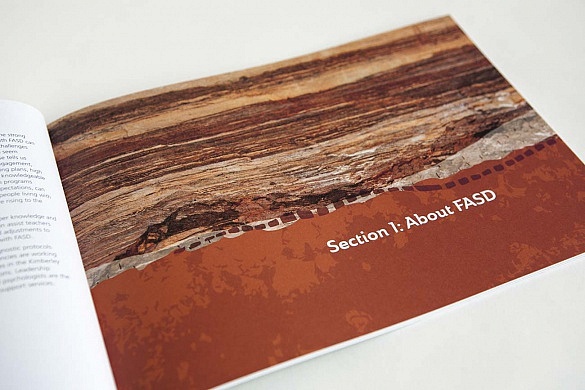 Although aimed at supporting educators in the Kimberley, the materials are also relevant to school communities addressing the complex needs of students living with FASD. 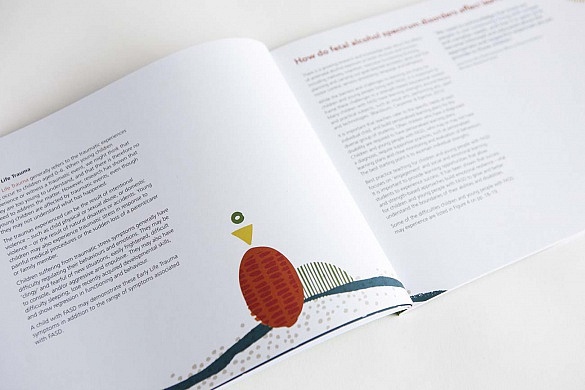 Given the sensitivity of the subject matter the artwork needed to be positive and hopeful in nature. 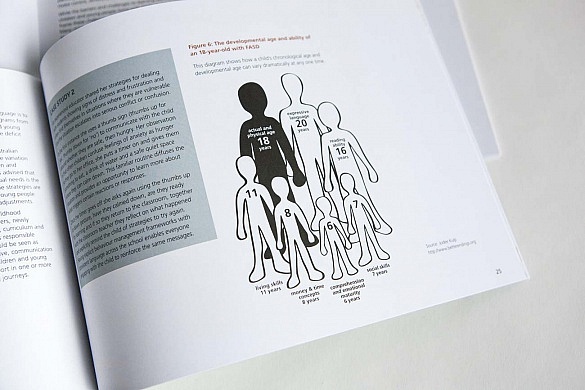 It needed to reference the Kimberley region and aboriginality, but not specifically so. 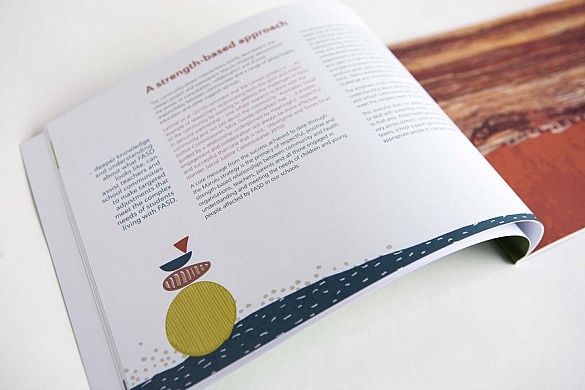 We addressed this by using abstract landscape images from the region, in combination with scrapbook style graphics, using flat colour in natural rich tones on clean white backgrounds.